I took up fly fishing a couple years ago. I have several lightweight 100% polyester long sleeve fishing shirts in my closet. They range in color from slate blue to tan, white and a shade of green. All of them are tailored in a similar fashion although some have rubber buttons while others have regular buttons. Some use VELCRO on the pockets while other use zippers. They are all made of a rip-stop weave. They all have a cape back for better breathing. Most have sleeves that can be rolled up and tied off to become short sleeved shirts. But each is a different brand purchased at a different store. One is labeled GRT from Columbia Sportswear Company. One is Field & Stream brand. And one is labeled Carhartt Force. 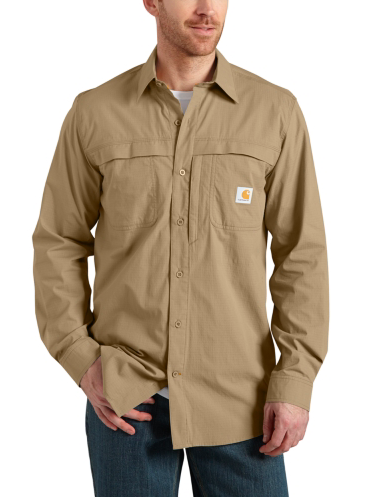 LL Bean, Patagonia, Orvis, Worldwide Sportsman Freecast, Magellan Outdoors, Simms and several other brands offer similar shirts. Given that the products are designed for the same sport and are so similar with the same functionality, it made me think about how the brands themselves imbued the products with different qualities and different meanings. It is interesting to think about how the appeal of very similar products varies depending on the brands that are associated with those products. This then is at the center of what branding is all about.